Most of the bookies offer Live Streaming service for almost all sports, but this time, this year 2018, things will be special, since the World Cup will be one of the most sought after events by punters around the world, They will especially look for the best Live Streaming service accompanied by Live Betting and any other advantage for them. As always, we offer the best information in any of the categories for sports betting, but in this case we will focus on Live Streaming, so that users and punters know which are the bookmakers are the best service, here we have all the information available, the conditions of each bookie, all months in advance. Note these options are all legal and secured, as we strongly discourage you to use illegal sites like livetv.ru or similar services. Ladbrokes has always had one of the best services, we liked the service because it is actually the bookie that has the largest coverage of sports in the UK and is one of the most advantages offered in Live Betting combined with Live Streaming. 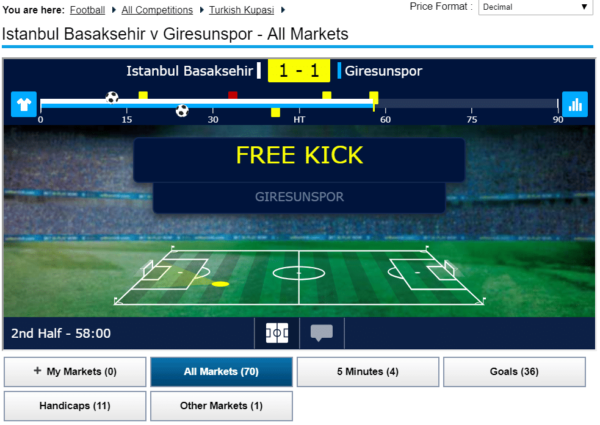 Sports in Ladbrokes can be seen through Live Streaming on the official website in the option of live betting. The quality of the live streaming is hd in most events, also the user can view the event on full screen if needed. Sports available in Ladbrokes with Live Streaming: Football, Tennis, Horse Racing, Basketball, among others. All available in HD with live comments. Ladbrokes does not require like other bookies that the punters make a bet to use the Live Streaming service, the only condition that users must comply is having a positive balance over £ 10 or the minimum deposit required by the bookmaker. It is an easy condition to fulfill since most of the users only join the bookie to take advantage of the live streaming and live betting service. 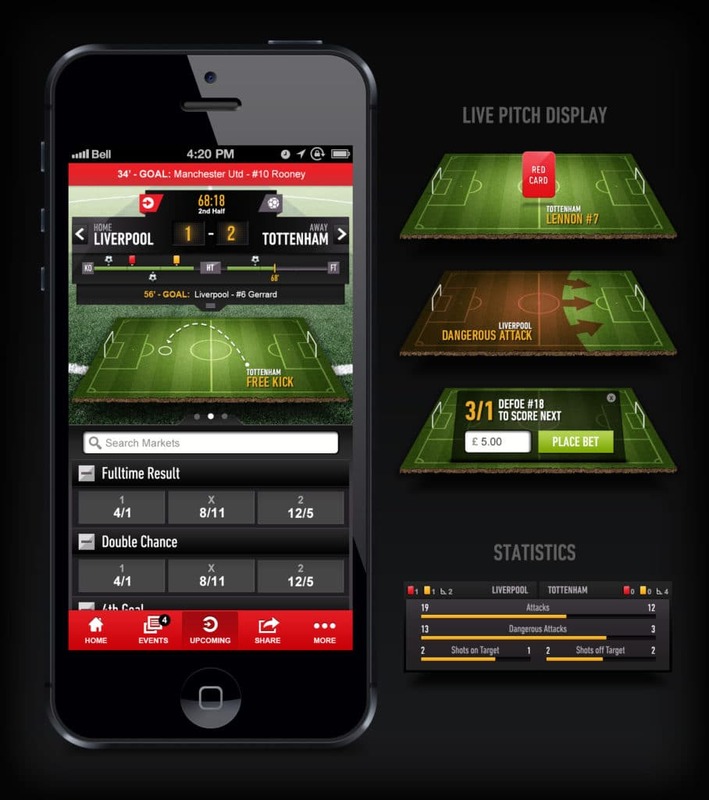 The first advantage that Ladbrokes offers over other bookies, is that Live Streaming is available in the official app of the bookmaker, this advantage guarantees players to watch the games live and direct using a device connected to WiFi or 4G internet. In addition to that, Ladbrokes has special combinable promotions for the 2018 World Cup Russia and other important events during the year. The speed of live streaming connection is quite fast, just with a basic internet connection users can enjoy all the experience. This bookmaker is already known for the coverage of the most important sporting events worldwide, especially by offering a quality service with Live Streaming, this year 2018, William Hill will be offering full coverage of the 2018 FIFA World Cup Russia with Live Streaming and of course accompanied by the best odds, bonuses, promotions and live betting. The official service is called William Hill TV (WHTV). Available sports in William Hill with Live Streaming: Football, Tennis, Cricket, Rugby, Greyhound, Horse Racing, Tennis, Snooker, Darts, Baseball, Basketball, Handball, Racing, American Football, Hockey, and Volleyball. The sports collection of this bookie with Live Streaming is one of the largest on the market. William Hill offers this service totally free for Football and other sports such as those mentioned above, but Horse Races are excluded since users must make a minimum bet of £ 1 to enjoy Live Streaming in that sport. Football and other sports have certain restrictions by territory, according to the disposition of the television transmission service provider. Check territory in your user account to see restrictions for live streaming. Register here with the free bet promo code. Like any powerful bookmaker, William Hill has this service not only on the main platform of the website but also through the official William Hill app and the mobile site. The punters can make bets using live betting and live streaming at the same time, in addition, the bookie offers live updates on the development of sports events on the live betting platform. All the live streaming platform has a small delay of 5 to 10 seconds, so be careful with it. Paddy Power is a perfect bookie to watch in Live Streaming the 2018 FIFA World Cup Russia, this operator is offering one of the best coverage services of live sporting events. 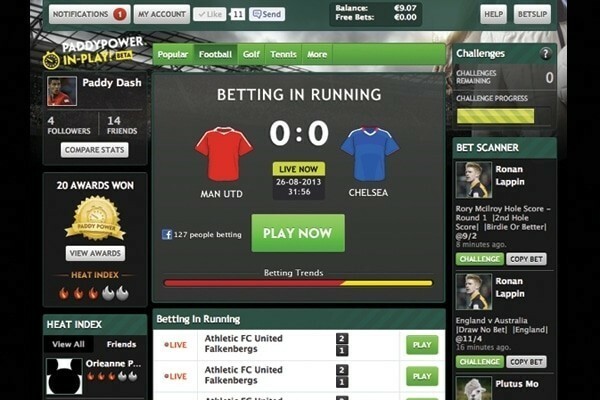 The punters will be able to enjoy most of the games on the Paddy Power platform, as well as be able to make any kind of bets on the live betting platform while watching the live events. Sports available in Paddy Power with Live Streaming: Tennis, Football, Basketball, Horse Racing, Greyhounds, among others. Paddy Power offers matches by territory, especially in the UK and Europe, also in Latin America, USA, RSA and other important countries. Paddy Power requires that new players have a minimum deposit in their accounts to use the Live Streaming service on the website and in the app. Some matches will not be available according to the disposition by territory since Paddy Power does not offer Live Streaming for all the players of the world, although the available events appear in a list according to the availability of the country of the aim. For horse races and greyhounds a minimum bet of £ 1 or the equivalent in the local currency is required. Most events are available on English comments, others are without live commentary. The first thing that users have to do is download the official app of Paddy Power, the app is compatible with most of the devices and is also fast and reliable to use Live Streaming. During the 2018 FIFA World Cup Russia, users can use the app to view the matches through Live Streaming and use the Live Betting platform to place bets. The coupons and promotions will be available during the months closest to the start of the 2018 World Cup. The easiest to do is download the app and watch matches there.